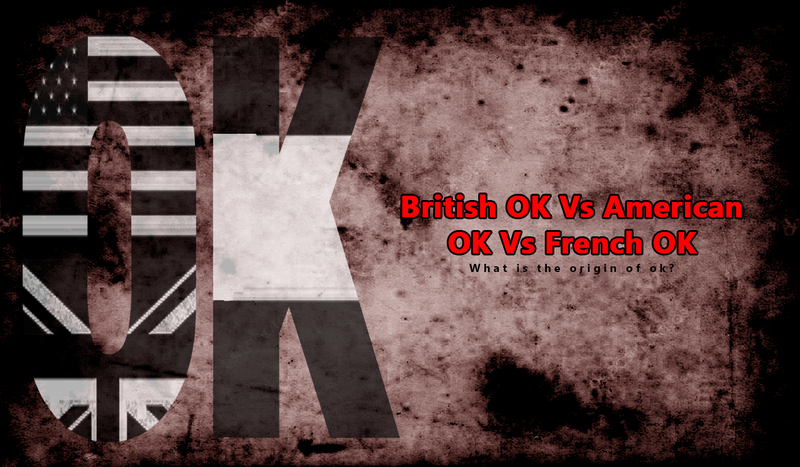 Home > Mystery > British OK Vs American OK Vs French OK ! British OK Vs American OK Vs French OK ! OK, Perhaps it is difficult to find someone who never used, heard or seen this one of the most common English abbreviations. Today, a combination of two simple letters hides a whole range of feelings, they show that "everything is good", "I'm healthy", "I'm cheerful," "I did it". What is the origin of ok? The ubiquitous British scientists could not pass by such an interesting question. Through long research they have established that this is a native English word and appeared in the lexicon of Shakespeare's contemporaries even in the time of Queen Elizabeth I. But American scientists do not want to give the English priority in such a responsible matter and conduct their own research. According to them, "OK" is a typical American word. There are versions about his Indian origin: with a positive answer to the question, the harsh leaders often responded to white-faced "oken". A professor of English from Columbia University associates the appearance of an abbreviation with dry cookies Orrin Kendall, which were supplied to the army of northerners during the Civil War. The French also did not stay away from the dispute and say that the expression arose during the fighting. If the day went well and the dead were not, the report wrote the phrase "zero Killed", which eventually turned into "OK".